COSTUME LOOKS GOOD, MY SON IS SUPER EXCITED TO WEAR IT! Bought a small for my 3 year old, only thing I had to do was roll the pants and sleeves. 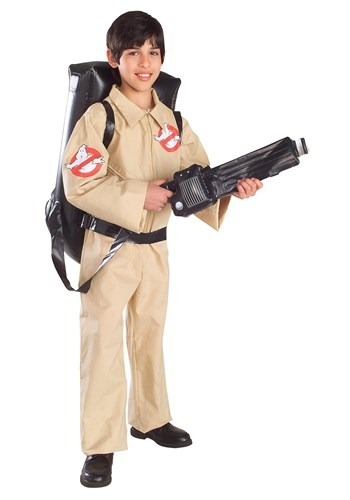 The costume says it is for ages 5-7. My son is a tall 6 year old and I still ended up hemming 3-4 inches from the sleeves and legs to make this fit him. Other than that he liked the costume. The pack looked cool. Great doing business with halloweencostumes! I am very happy with the Ghostbusters costume and HalloweenCostumes.com. 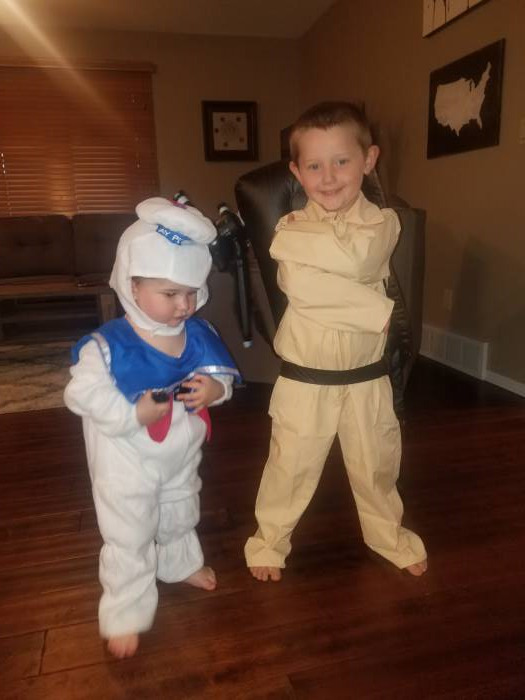 The first costume I ordered was a little small, the exchange was simple and easy! The second costume fit perfect. I will definitely be ordering more here!! Great costume... just ran a little small for the size.